4-4-1 Kugenuma Kaigan, Fujisawa, Kanagawa Pref. Parking lot adjacent to the skatepark. 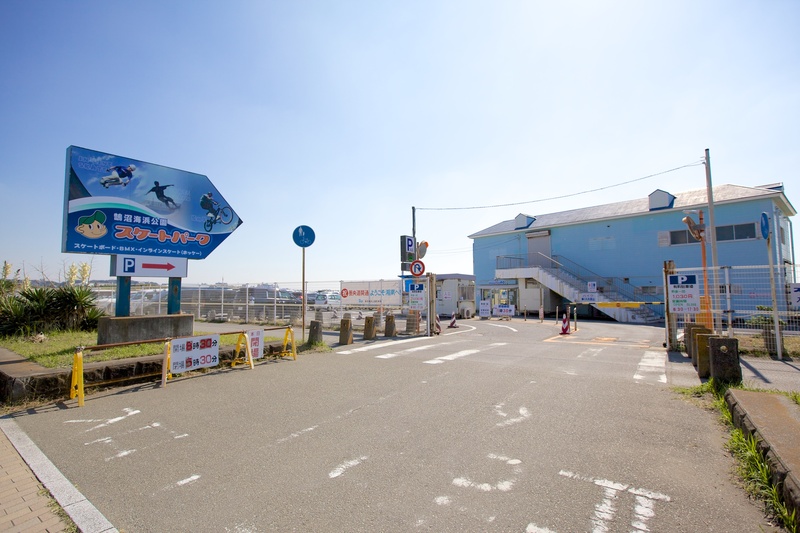 “Kugenuma”, the birthplace of surfing in Japan, is now a recreational spot where you can find multiple ways to enjoy all day long from marine sports to land sports, including the skatepark. It is also the starting point of the cycling route that extends all the way to Sagami River. ・The business hours on January 1 will be 6:00a.m. - 5:30p.m. ・Please contact each parking for further information including fees and business hours. ・Prepaid e-money cards issued by transportation companies, such as, Suica and PASMO, can also be used. The availability of the parking space shown on the web page is based on the information obtained from iPosNet real-time parking lot information when the viewer accesses the web site. In other words, the information on available parking space displayed on the web site will not be updated until the viewer manually refreshes the web page. Therefore, the information shown on the web page may differ from the latest status of parking space availability.In that case, the information displayed at the actual parking lot takes precedence over the information on the web site. Some parking lots may continue to show visual signages that indicate that they have space available for parking, even after they are closed for that day. The operating hours of each parking lot can be confirmed on the web page that shows the details of each parking lot. The availability of the parking space shown on the web page is based on the information obtained from iPosNet real-time parking lot information when the viewer accesses the web site. In other words, the information on available parking space displayed on the web site will not be updated until the viewer manually refreshes the web page. Therefore, the information shown on the web page may differ from the latest status of parking space availability. In that case, the information displayed at the actual parking lot takes precedence over the information on the web site. Some parking lots may continue to show visual signages that indicate that they have space available for parking, even after they are closed for that day. The operating hours of each parking lot can be confirmed on the web page that shows the details of each parking lot. Shonan Nagisa Park Co., Ltd. Copyright © Shonan Nagisa Park Co.,Ltd.